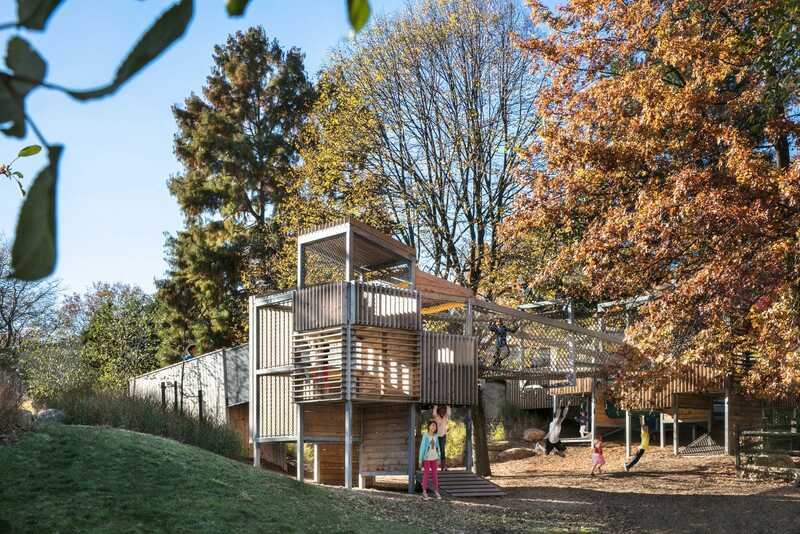 Metcalfe Architecture & Design：After the completion of Abington Friends School’s (AFS) Garden Station (for early childhood students), we worked with the school once again to design and build AFS Outside: an abstract play structure, water feature, and associated landscape forms. 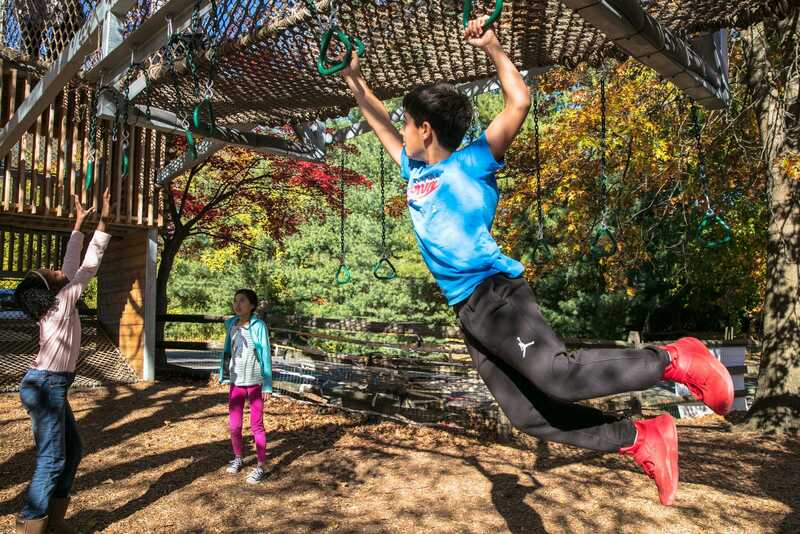 Here, older students can crawl, swing, run, and climb during their breaks from classroom learning. 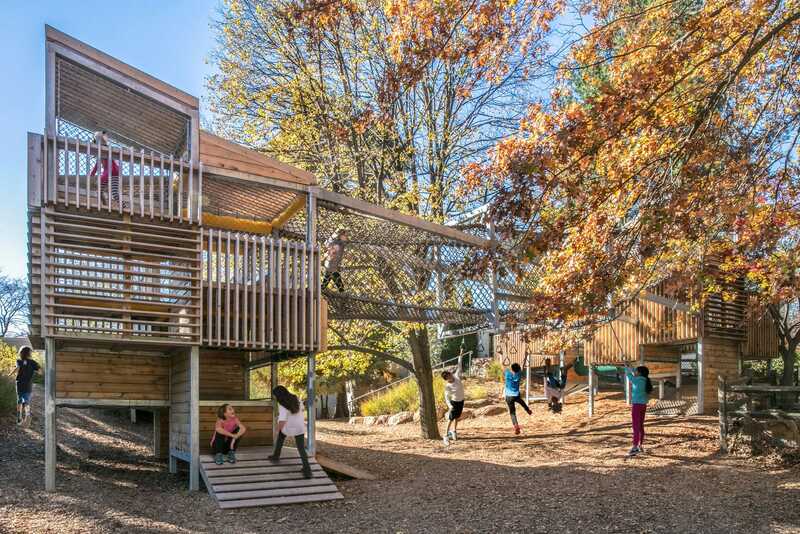 This area has become a central part of AFS’ curriculum; the structure challenges young students to take physical risks on their own terms and integrate the adjacent natural forms into their everyday play.